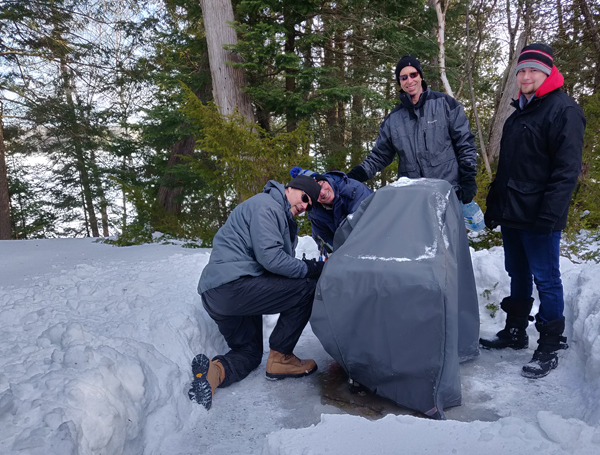 We spent time training outside in the snow, fixing the frozen BBQ, jamming and playing music, watching movies, playing strategy games, eating good food, enjoying good conversations, and just enjoying life. 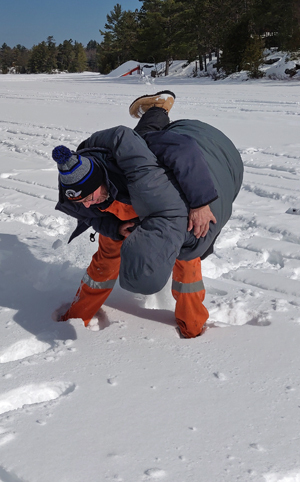 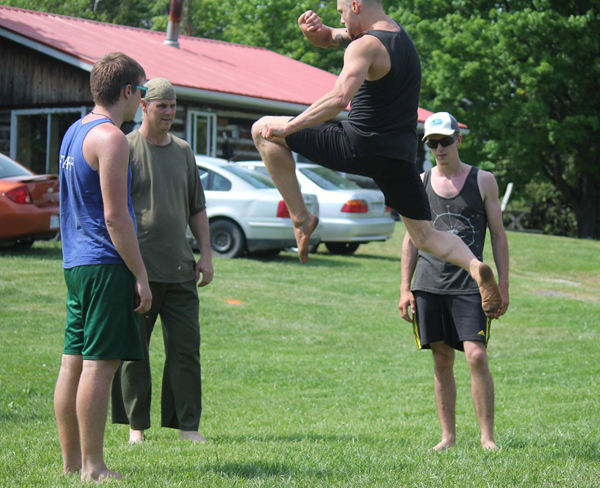 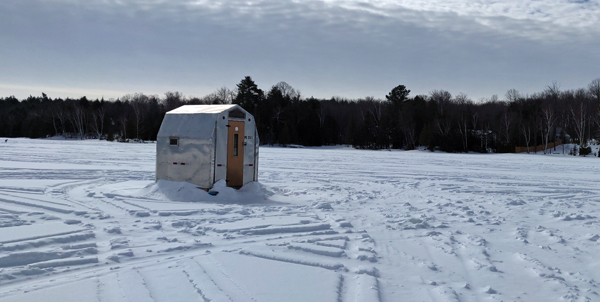 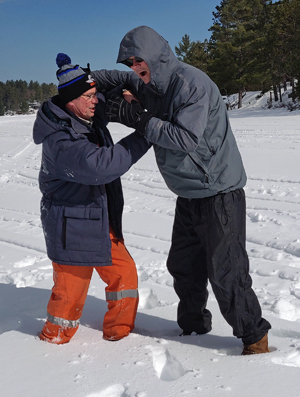 Looking forward to the next boot camp weekend (end of May 2019), snow should be gone by then. 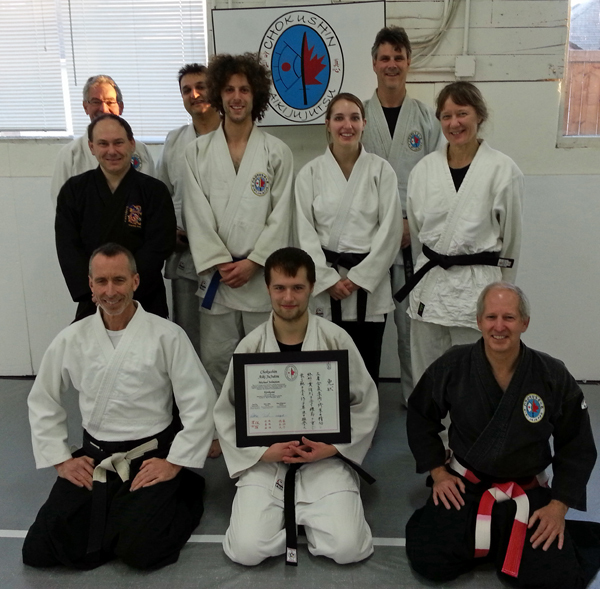 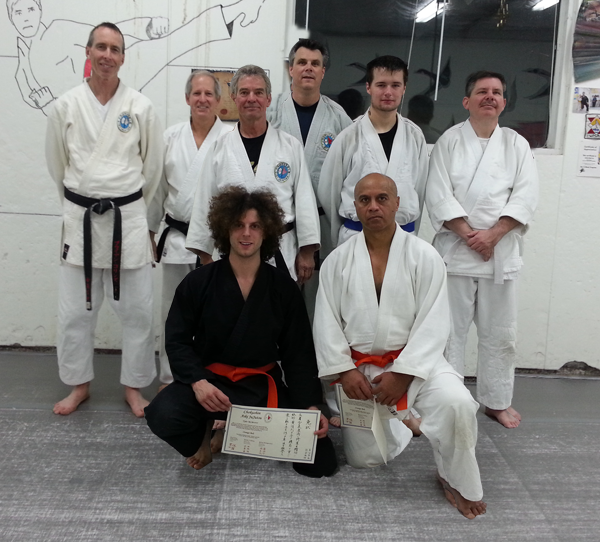 Congratulations to Michael Johnston for attaining his first level Black Belt (Kirikami) in Chokushin Aiki Jujutsu on December 3, 2016. 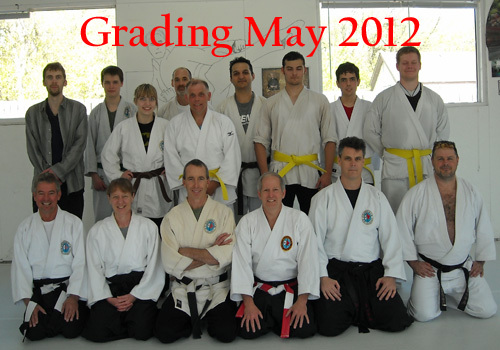 The day included the grading and an awesome potluck celebration back at the home of Brian Collins. 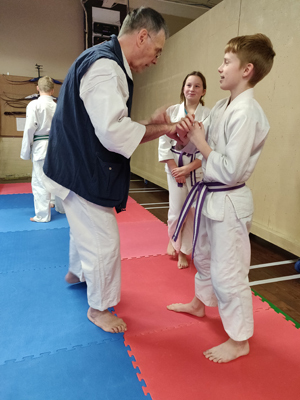 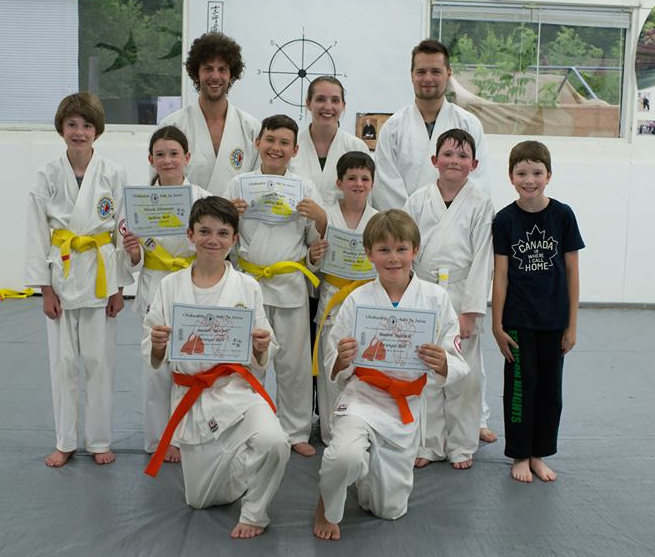 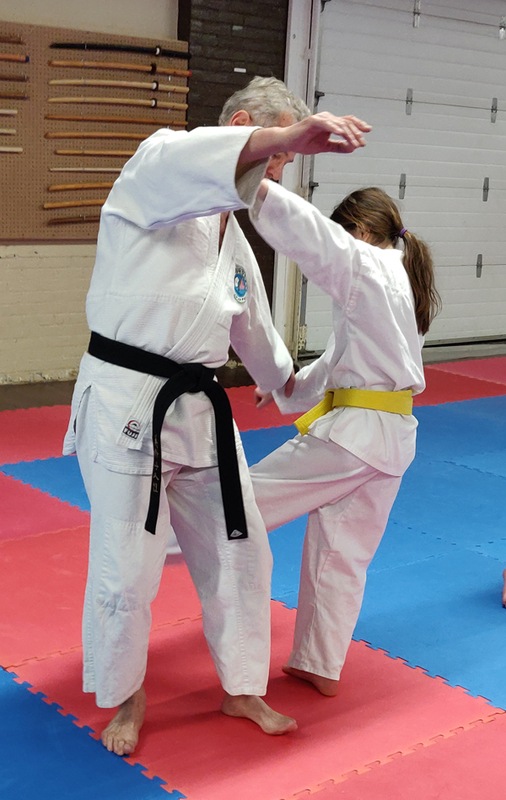 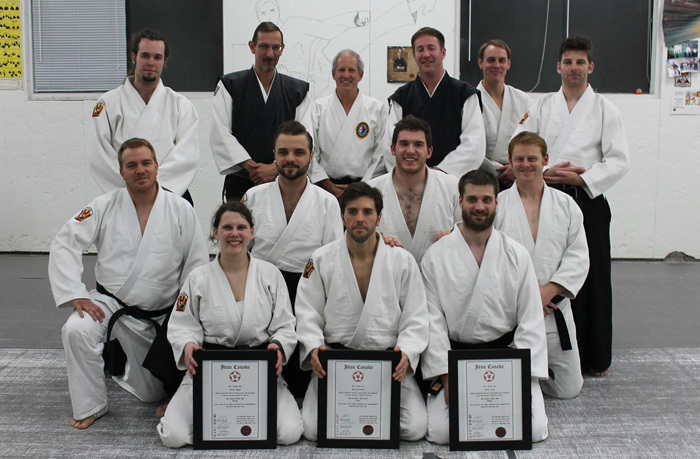 Thank you to all the students who offered themselves as uki (training partners) with Michael over the years and through the very demanding grading process. 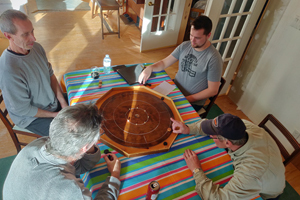 Thank you to Brian for hosting the festivities last night, an excellent potluck meal, games (pool, darts, shuffleboard, and more) and music. 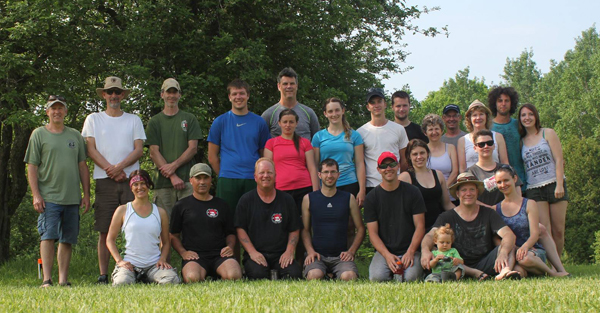 The weekend was a huge success and we were blessed with great weather, lots of dragonflies, minimal blackflies, and lots of training. 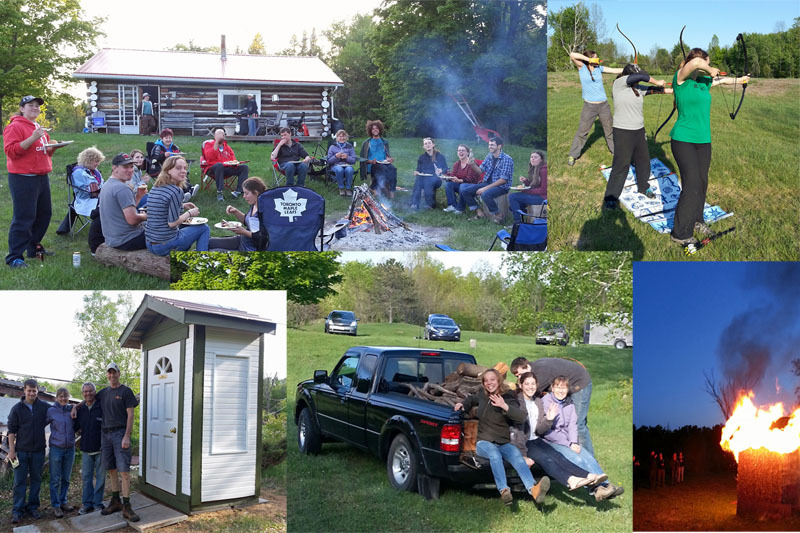 The food was excellent as always (Brian Collins), music at the camp fire was awesome (Jon Mansell … and others). 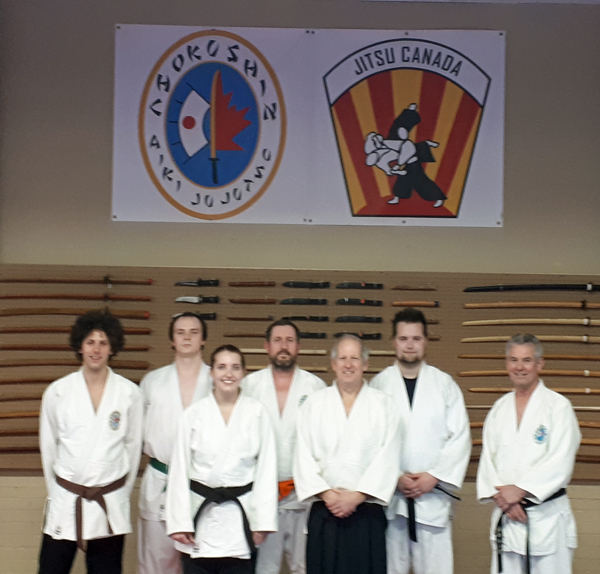 Thank you to Kenn Gibb (Jitsu Canada), Brian Collins (Chokushin Aiki Jujutsu), Andy Dobie (Jitsu Canada), Paul Fox (Chokushin Aiki Jujutsu), Mike Doherty (Dohjo Muay Thai & Fitness), and Brian Bridgwater (Chokushin Aiki Jujutsu) for sharing their knowledge with all the eager participants. 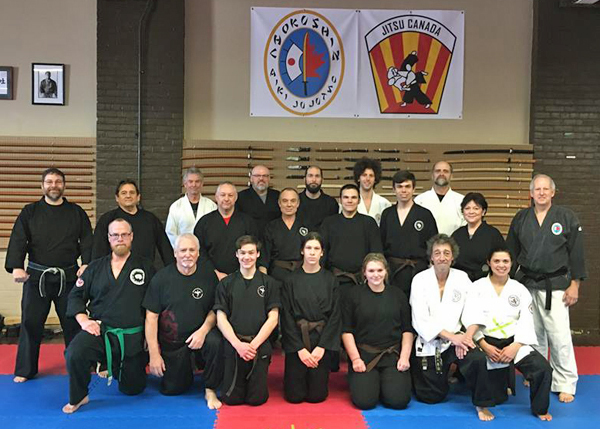 Thank you to all the participants who have enjoyed the Boot Camp in the past and who continue to attend and share their enthusiasm Thank you to the new faces and new clubs who attended as well. 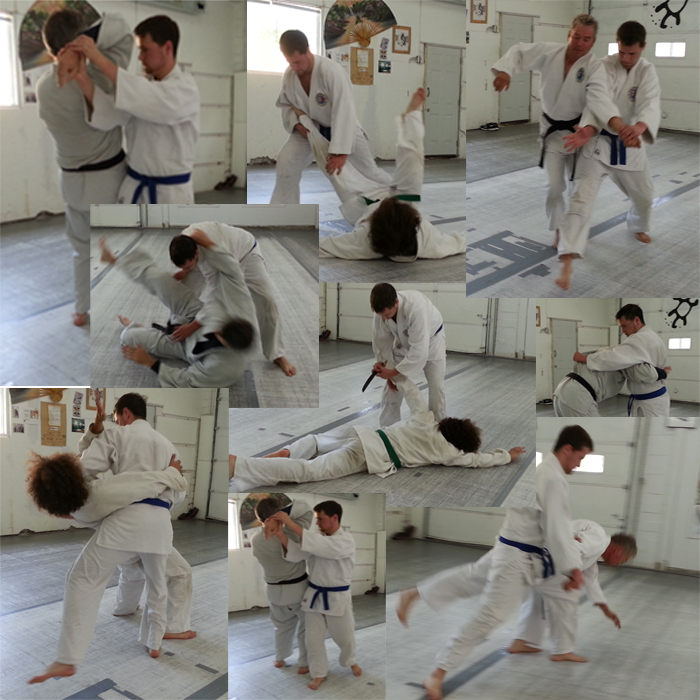 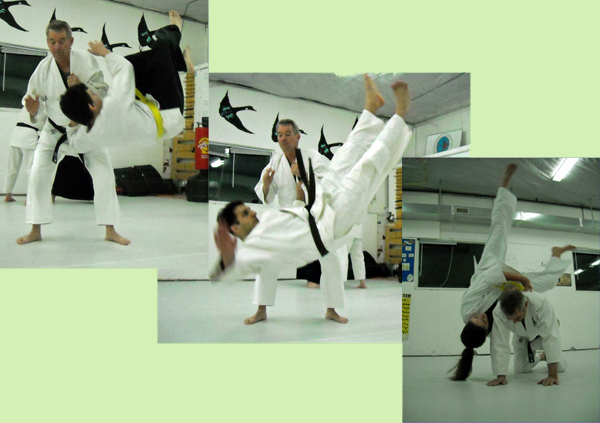 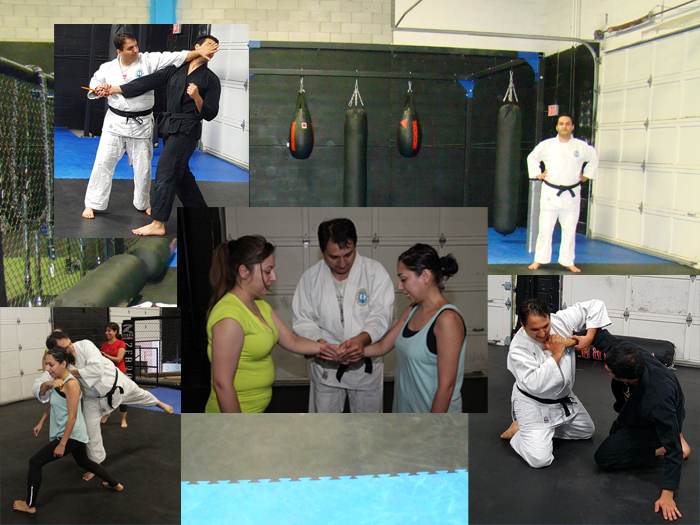 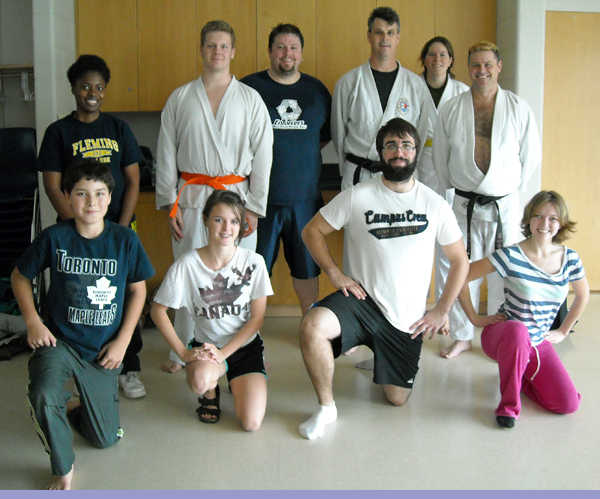 Students of Dan Poirier, Chief Jiu-Jitsu instructor Y.M.C.A. 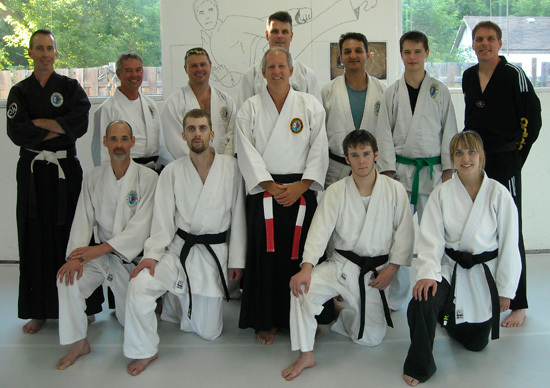 of Oakville. 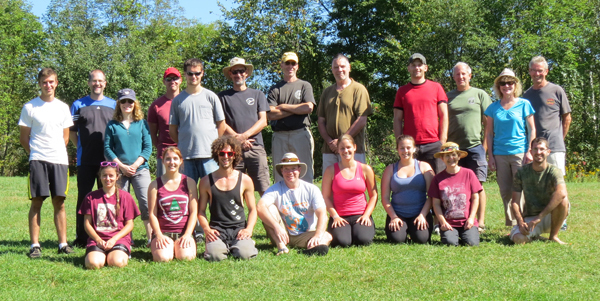 Plan now for the September 2016 Boot Camp. 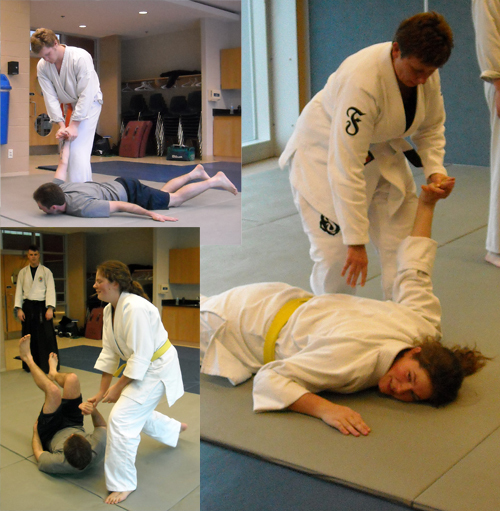 We were training today with our friends at the Canadian Jiu Jitsu Council. 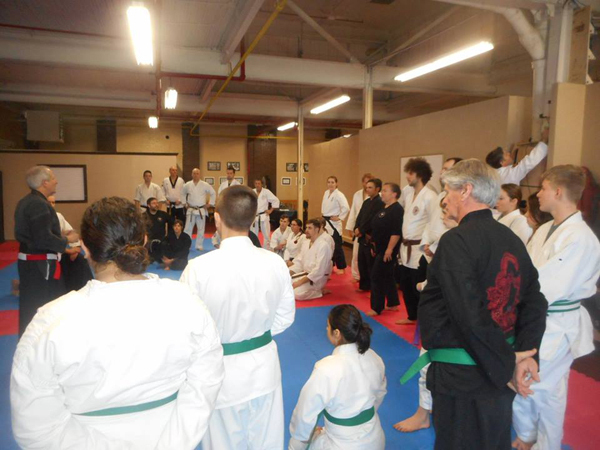 It was a great turn out and everyone had a great time. 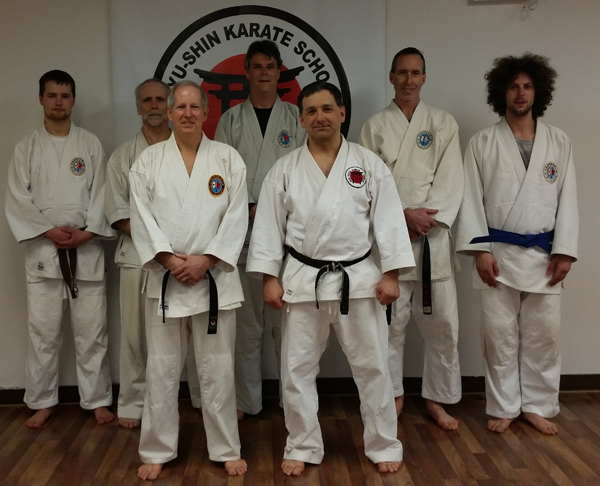 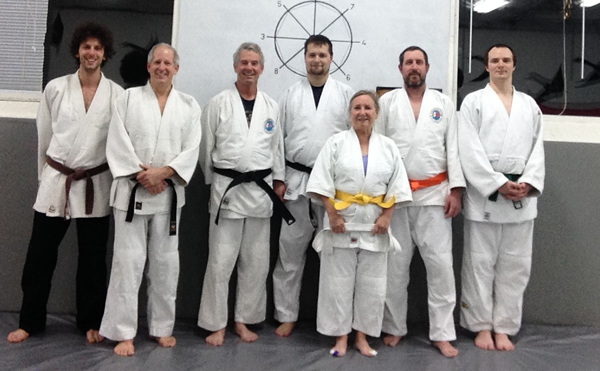 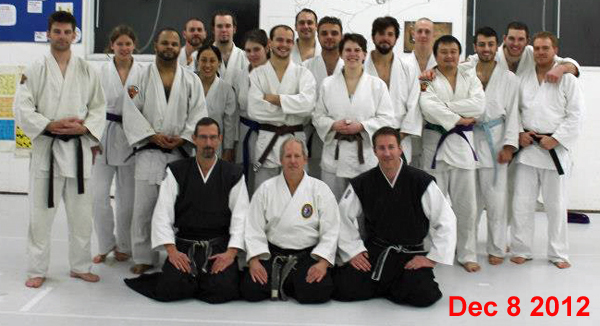 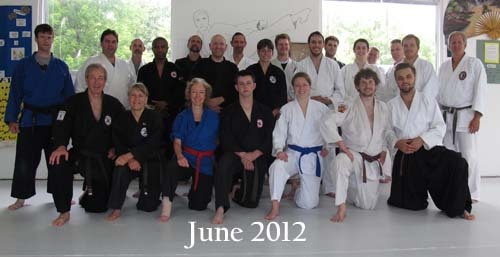 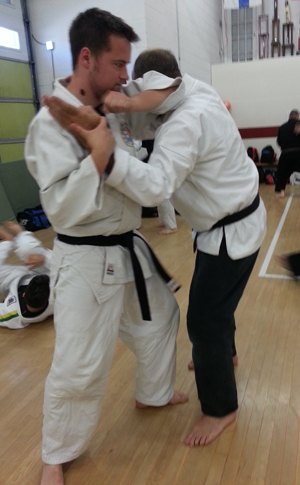 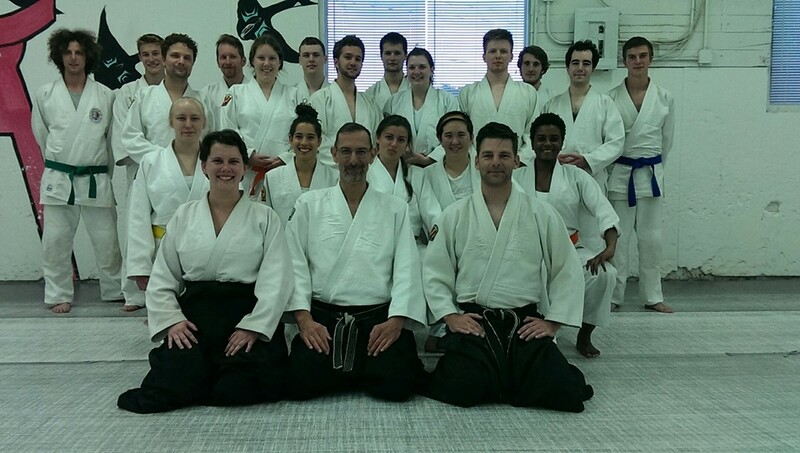 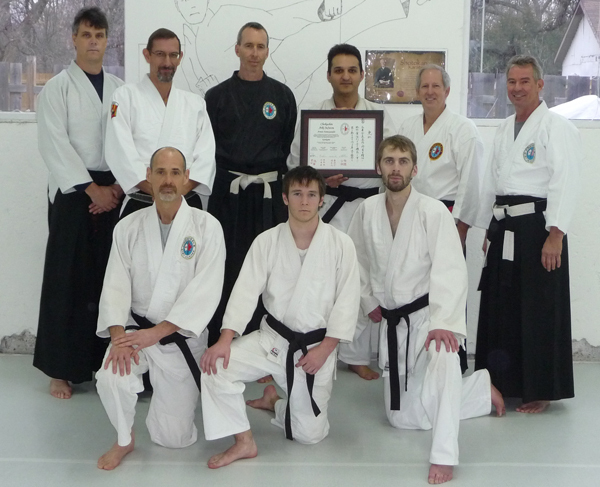 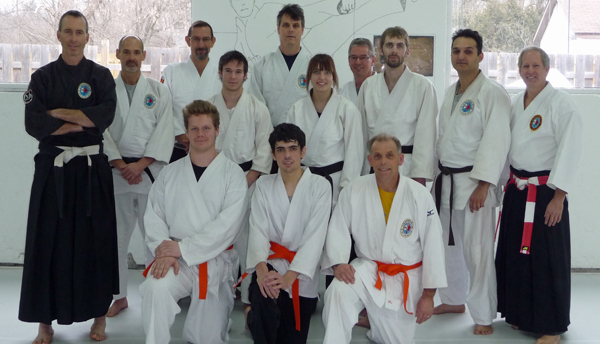 Thank you to Sensei Bruce Stanton for an excellent seminar. 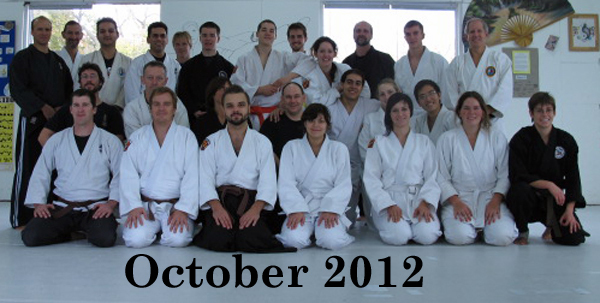 Thank you to Sensei Mark Canning and the students of the Bushido Kai Jiu Jitsu Club for hosting the event. 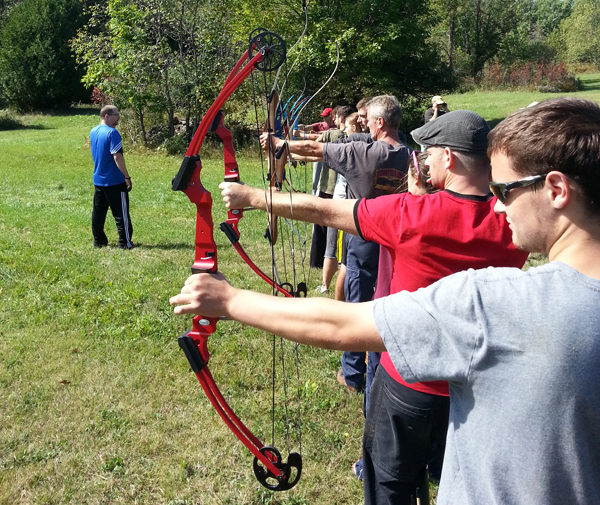 Thank you also to all the participants who travelled long distances to participate in the day of fun and learning. 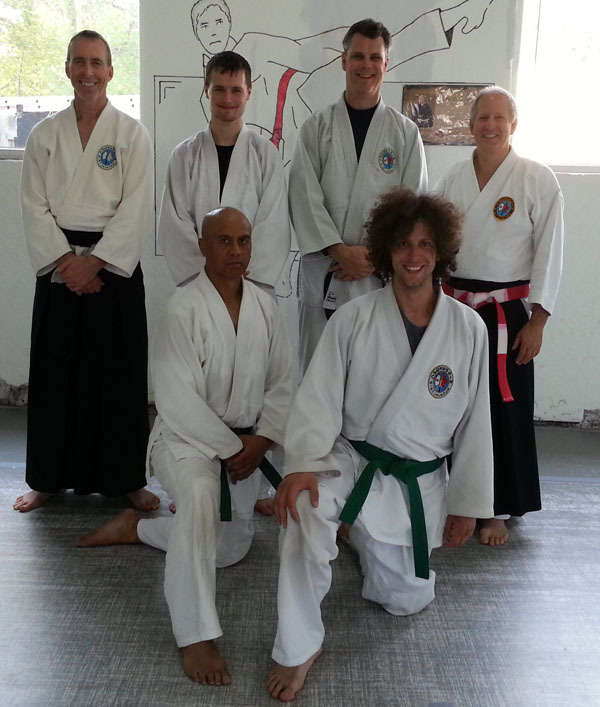 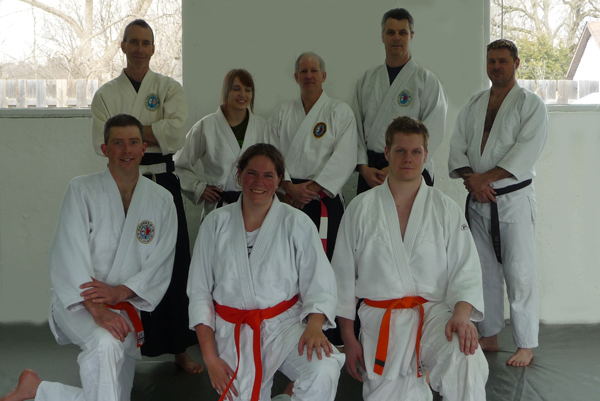 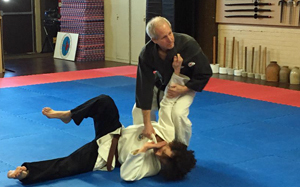 Training with Sensei John MacCallum and friends at the Jiyu-Shin Karate School today. 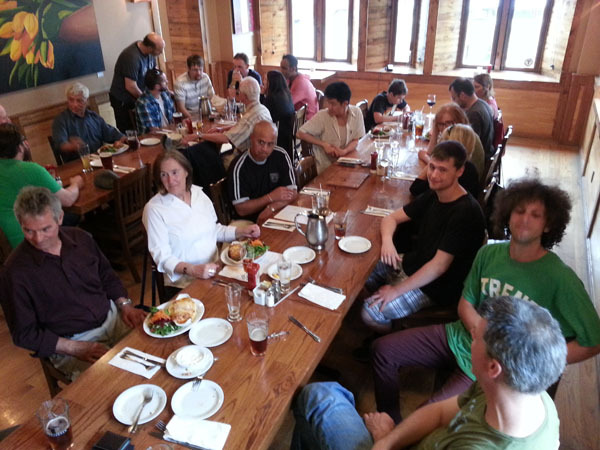 A good time was had by all and we look forward to getting together with them again soon. 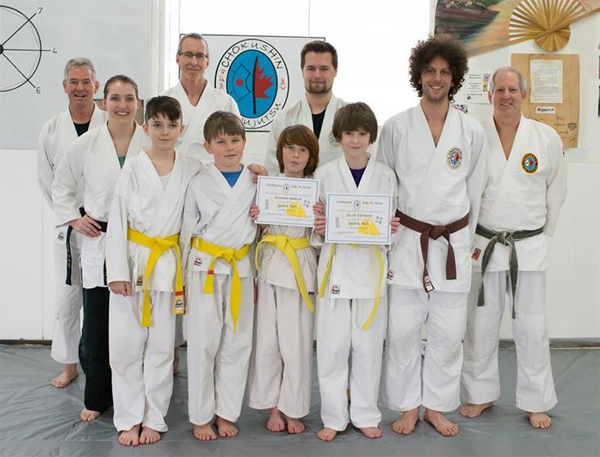 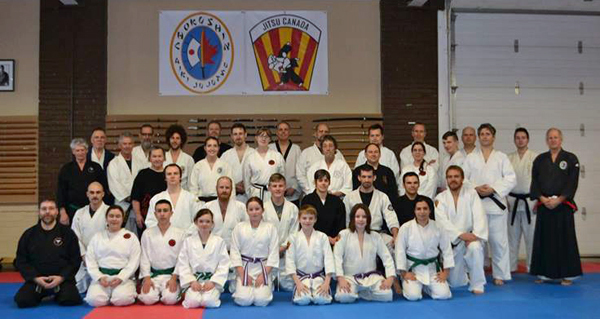 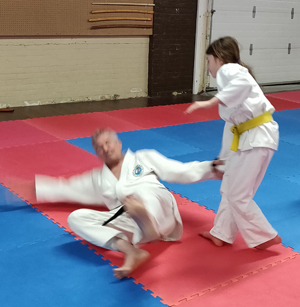 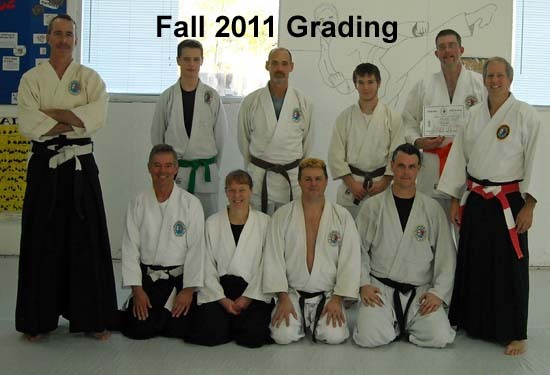 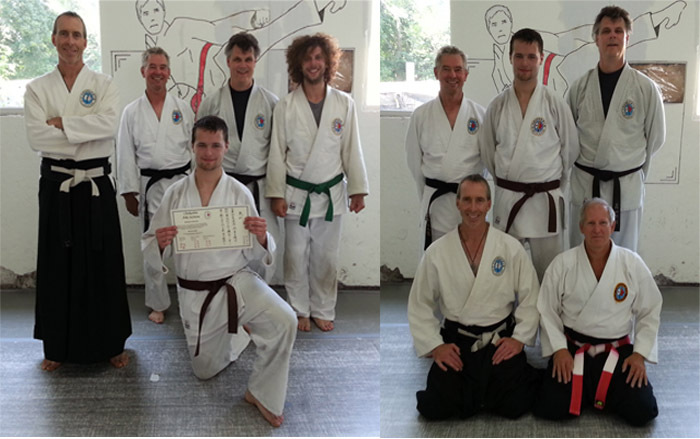 Congratulations to all who attended and participated in the gradings this December. 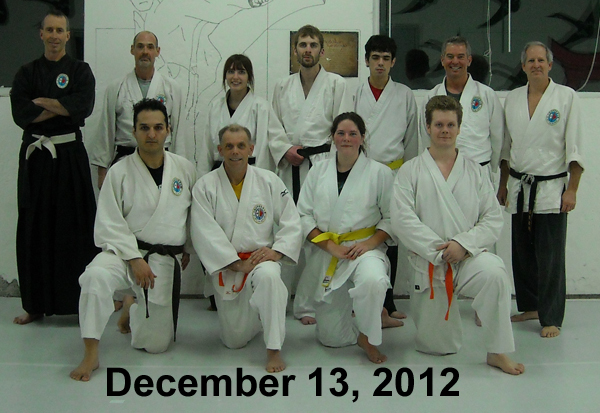 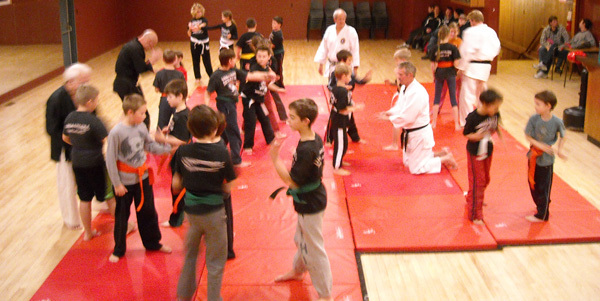 Also, it was a great turnout at the Martial Arts Christmas evening. 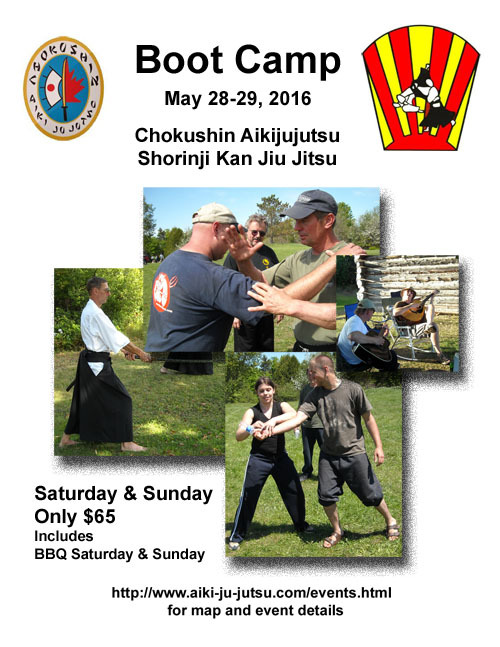 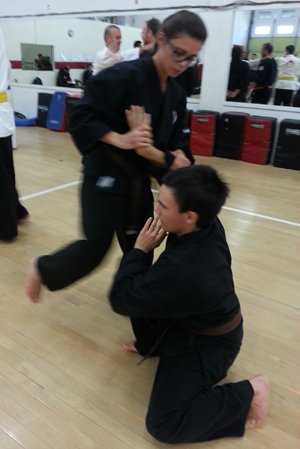 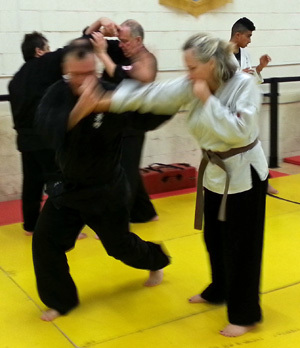 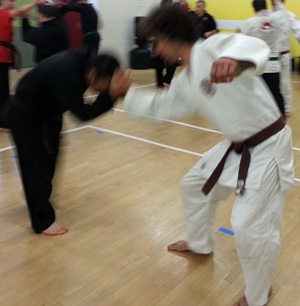 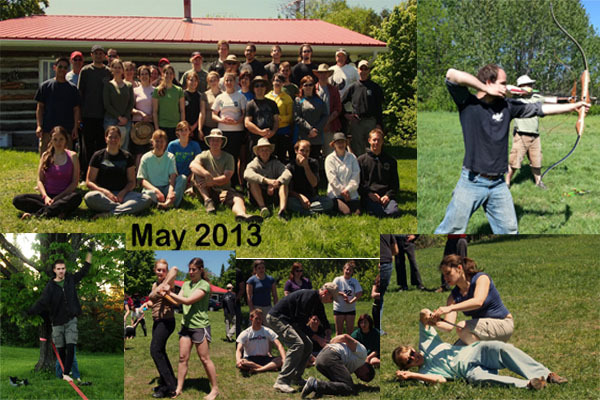 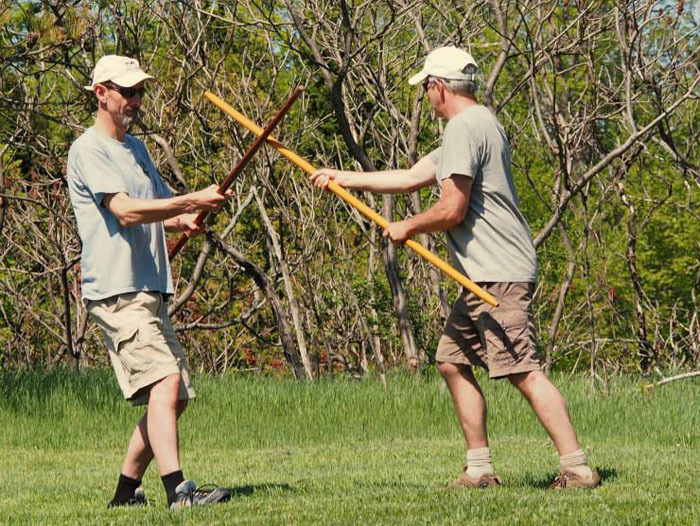 Training events included Archery, Aiki, unarmed defences, throwing, locking, edge weapon defensive techniques, swimming, and much more. 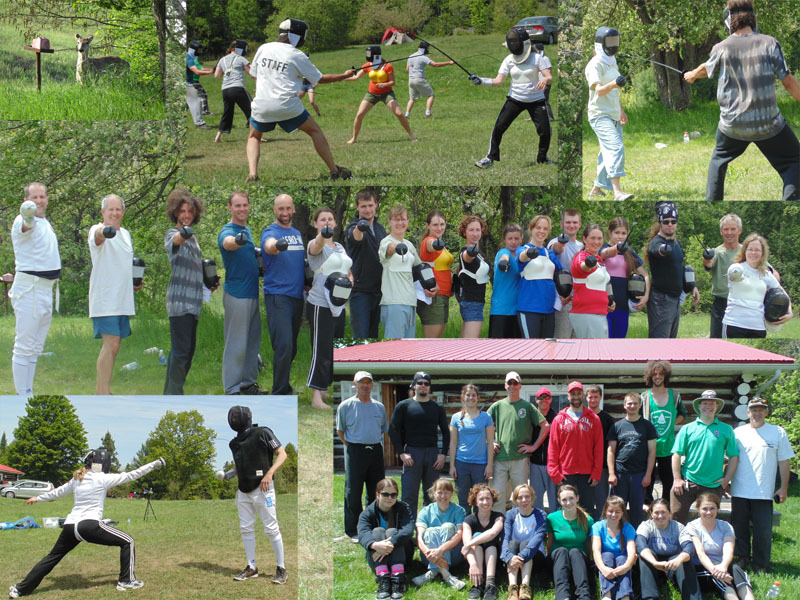 Thank you to our special guest instructors Scott Nichols and Michelle Curran (Peterborough Fencing Club) who shared a fun and amazing experience with all our participants. 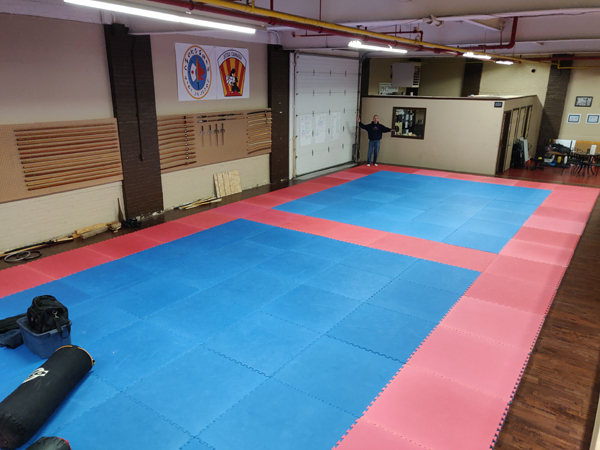 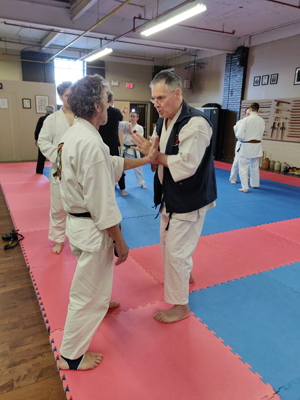 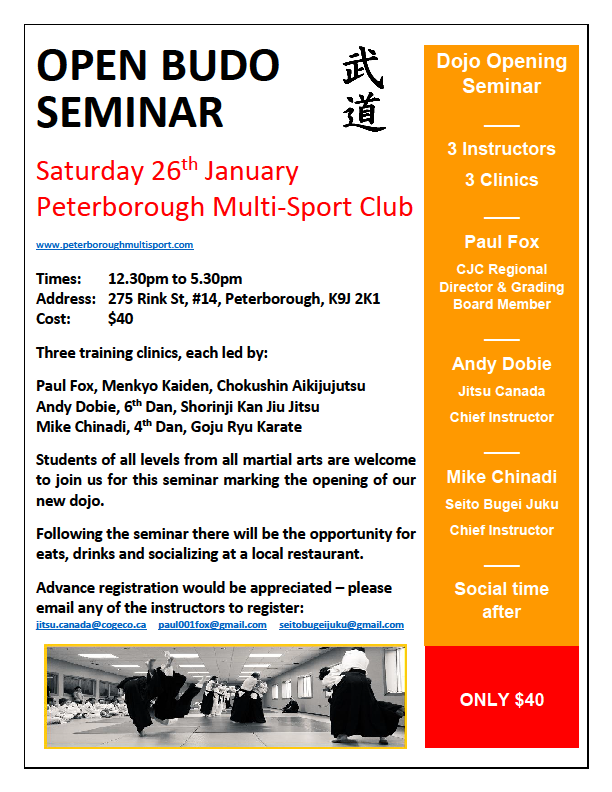 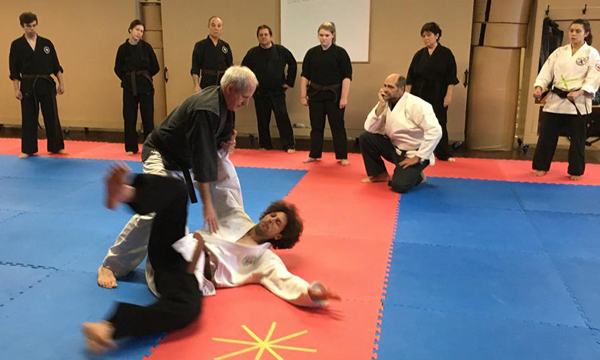 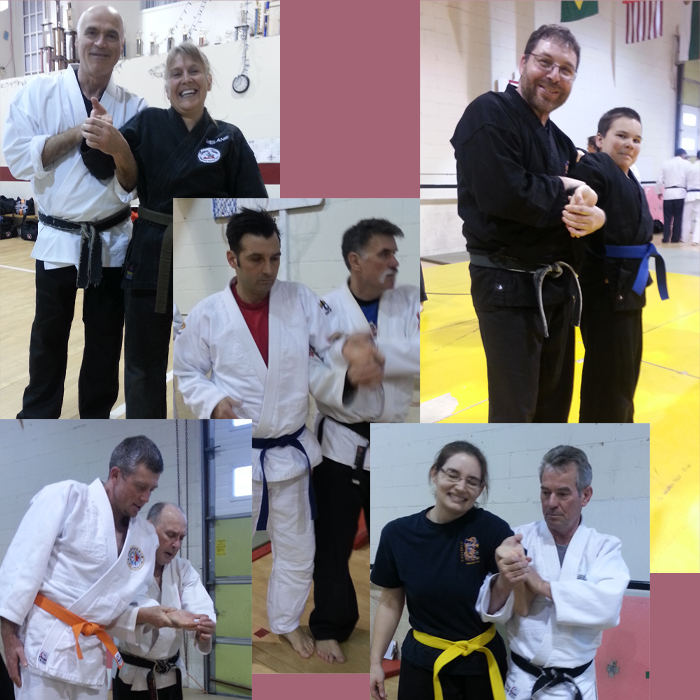 Thank you to instructors Brian Collins (Aiki Jujutsu), Paul Fox (Aiki Jujutsu), Mike Chinadi (Karate), for all their hard work, technical expertise, and dedication to the weekend event. 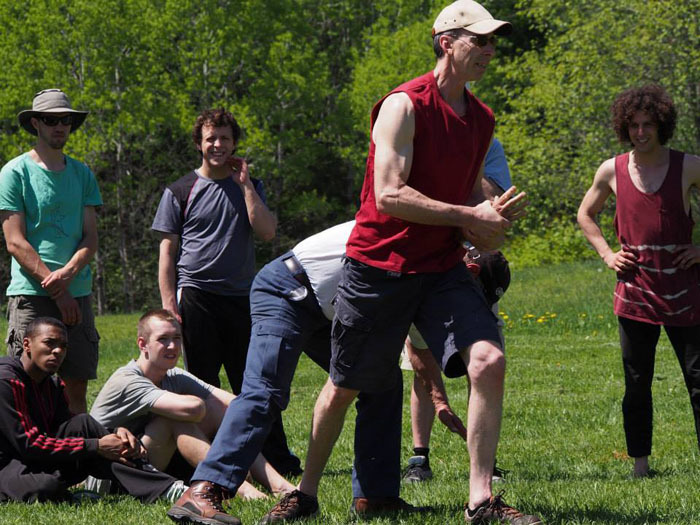 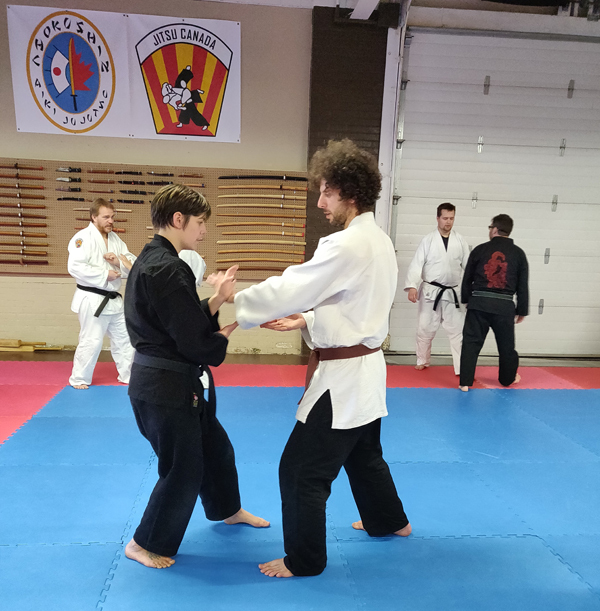 A special thanks to Jamie Snider (Jitsu Canada's resident Therapist) for his expert knowledge and application of sports therapy (he was busy all weekend). 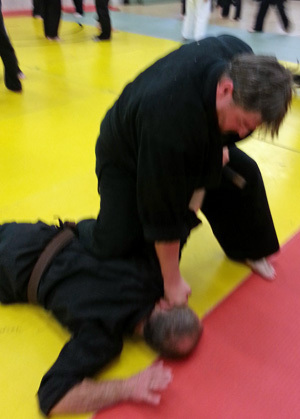 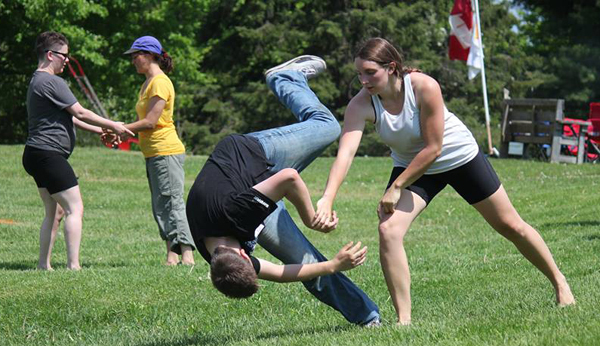 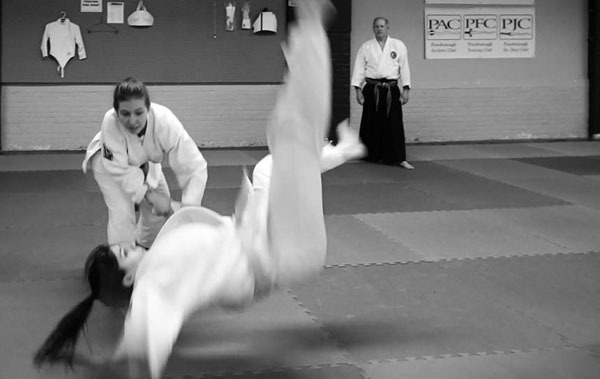 Training events included Fencing, Archery, Aiki, unarmed defences, throwing, locking, edge weapon defensive techniques, swimming, and much more. 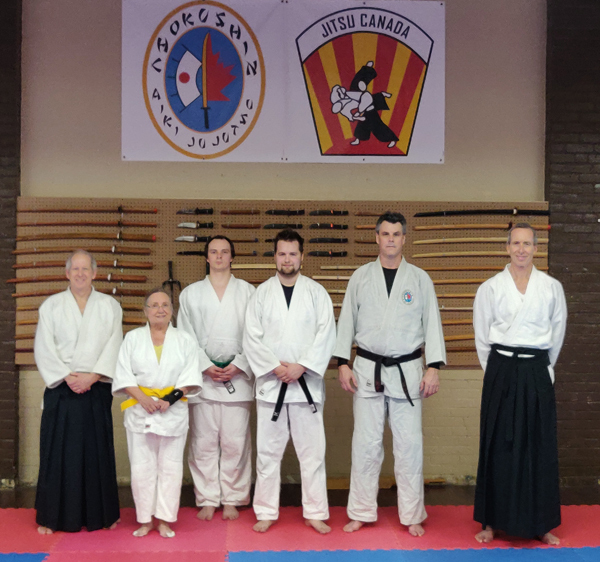 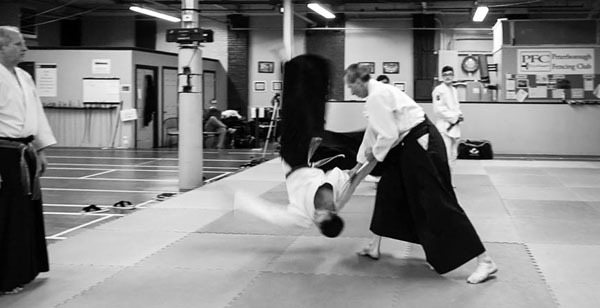 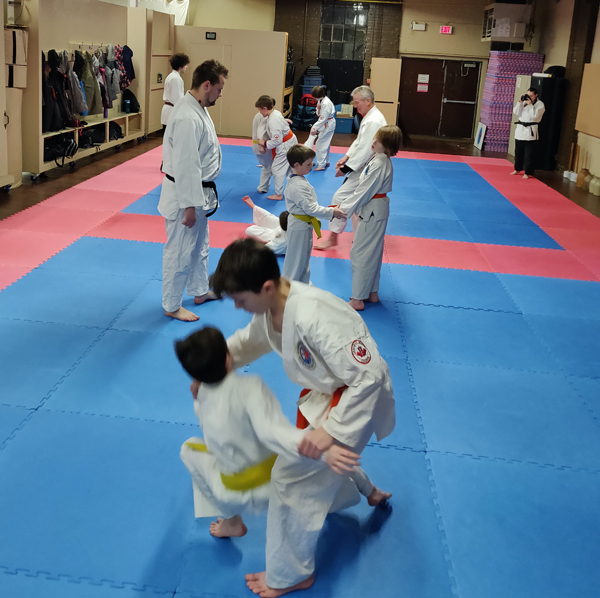 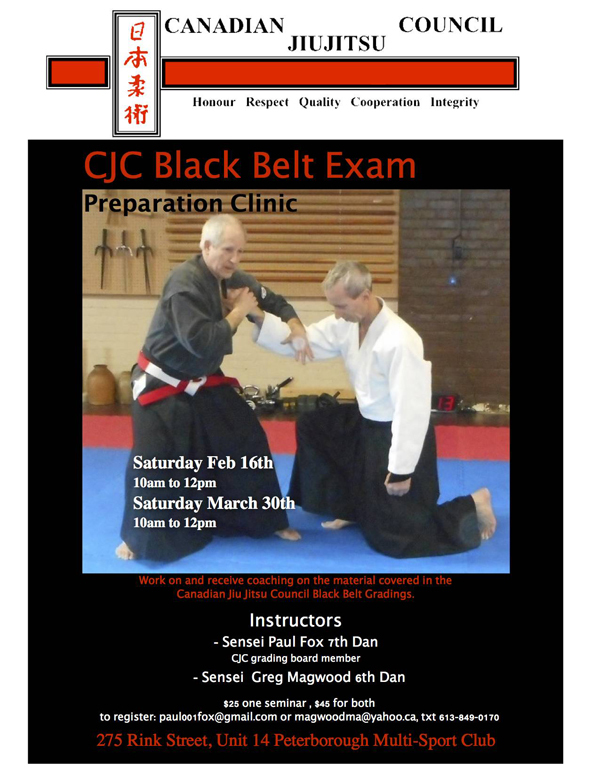 Thank you to instructors Brian Collins (Aiki Jujutsu), Brian Bridgwater (Aiki Jujutsu), Jonathan Jamnik (Jitsu Canada), for all their hard work, technical expertise, and dedication to the weekend event. 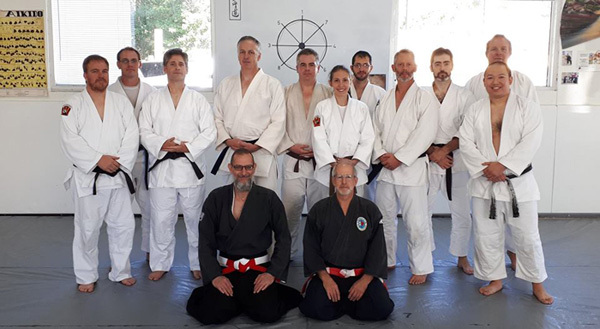 A special thanks to Jamie Snider (Jitsu Canada's resident Therapist) for his expert knowledge and application of sports therapy (he was busy all weekend). 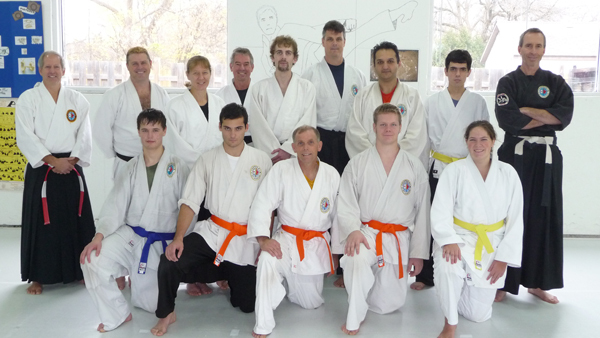 Congratulations to all the candidates and the Uki for their participation throughout the day. 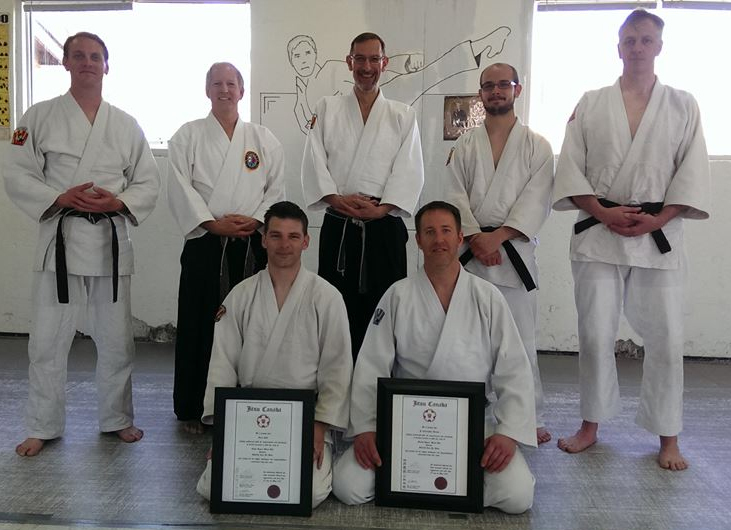 Congratulations to Tyler McMaster, Malcolm Rahiri. 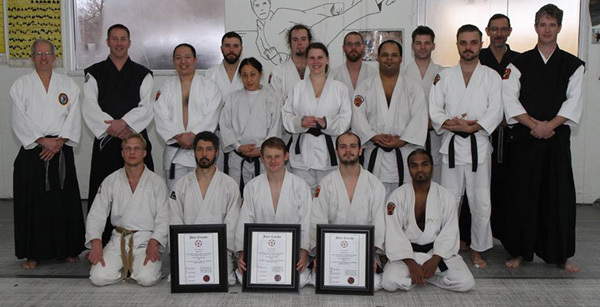 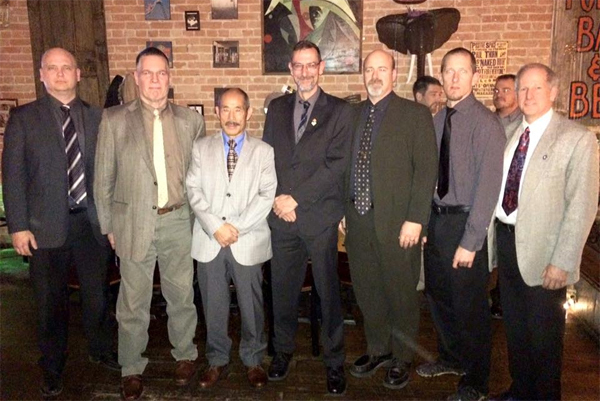 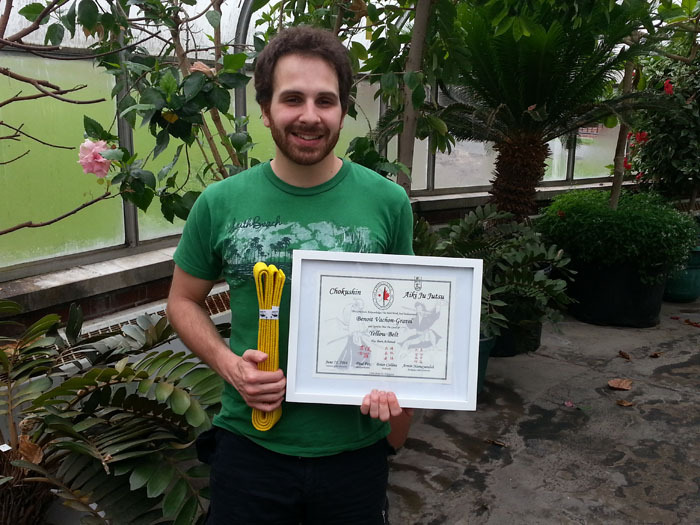 Congratulations to Andy Dobie and the entire Jitsu Canada Organizaton ... well done! 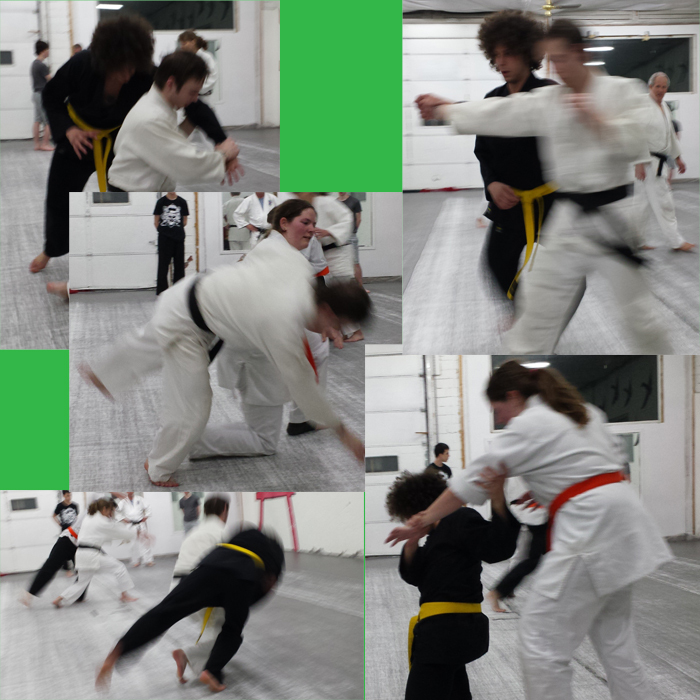 A great display of technical competence and will power. 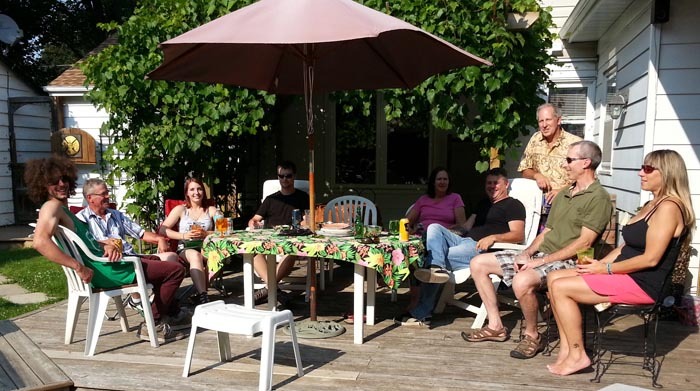 1pm - 4pm followed by a social and BBQ.